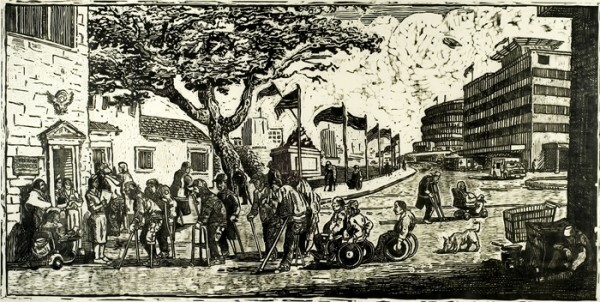 Woodcut prints: black ink, hand rolled and hand inked on handmade Sekishu Kozo paper from Japan, backed twice with two layers of Sekishu and archival wheat paste. 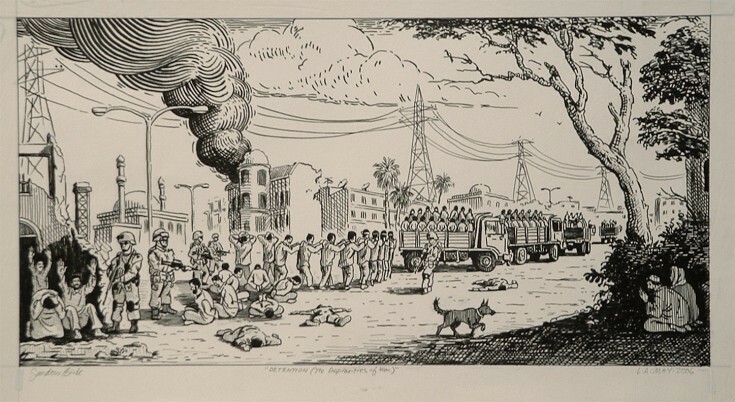 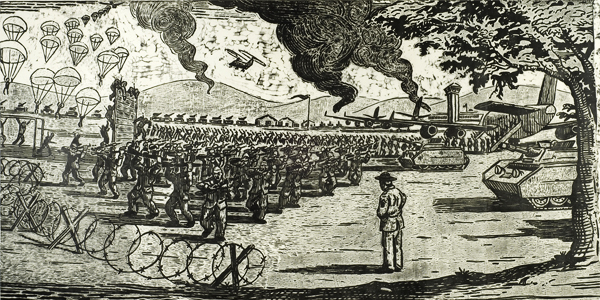 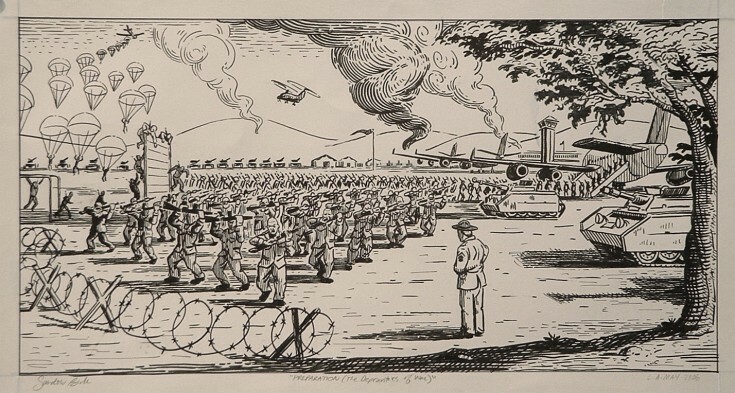 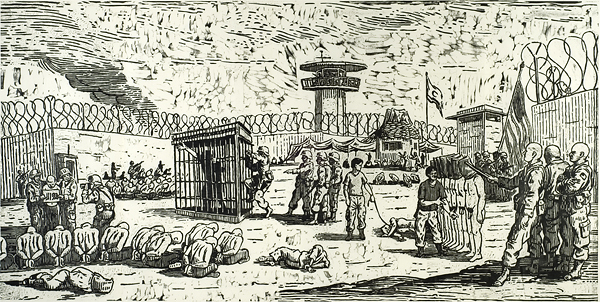 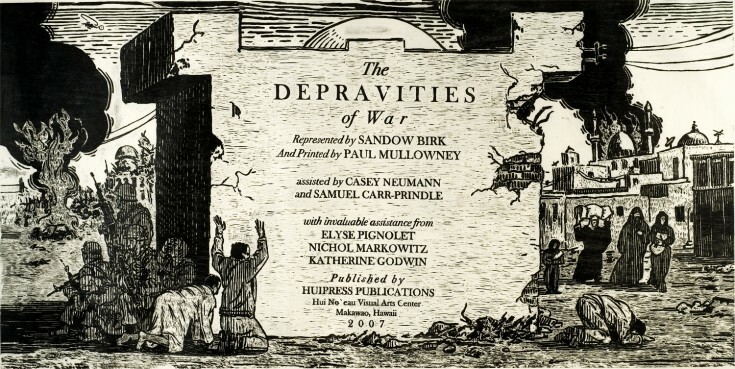 After the 2005 publication of his portfolio of etchings, The Leading of Causes of Death in America, Sandow Birk returned to HuiPress in the spring of 2006 and began a monumental print project inspired by a series of etchings called The Miseries and Disasters of War by Jacques Callot, printed in 1633. 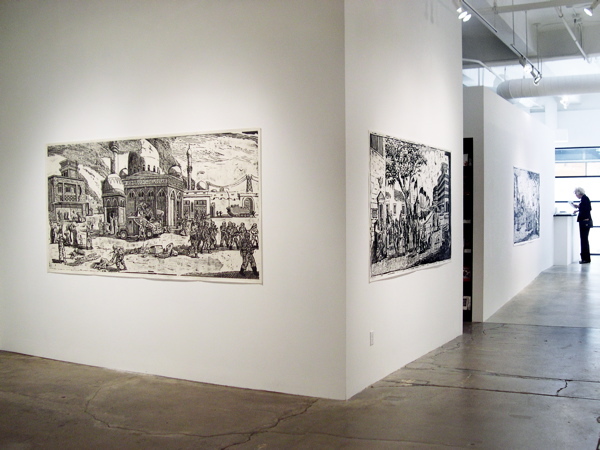 The project consists of 15 large-scale woodcut prints, each measuring 48 x 96 inches. 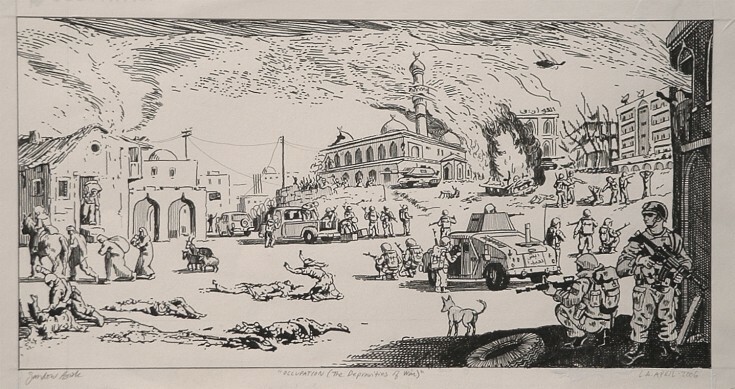 Printed in collaboration with Master Printer Paul Mullowney, and assisted by HuiPress printer Casey Neumann, and Rhode Island School of Design interns Samuel Carr-Prindle and Nichol Markowitz, the images follow the course of the Iraq war. 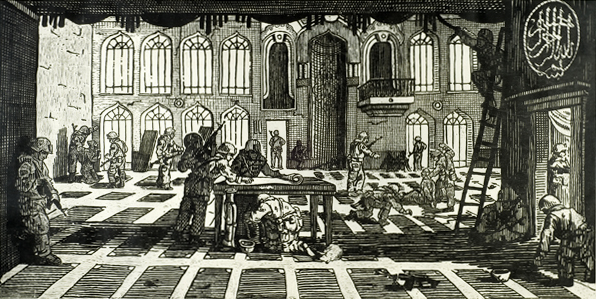 Just as Francisco Goya's early 19th century prints, The Disasters of War, drew on the prints of Callot for their inspiration, Sandow Birk now draws on Jacques Callot to create a series of prints commenting on the debaucheries of warfare in our times. 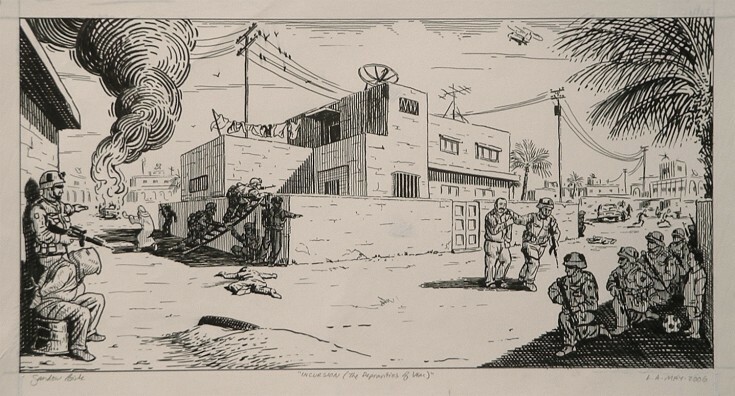 Using Callot's images as a starting point and casting their epic compositions in both America and in the ravaged landscape of Iraq, Birk's prints depict the course of war and its aftereffects. 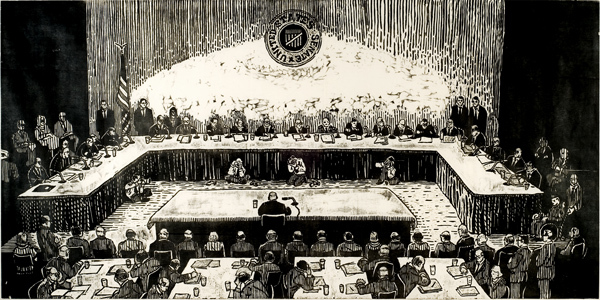 Blown up to grandiose scale and utilizing the aggressive nature of the woodcarving process to full effect, the images are at once familiar and contemporary, while recognizable as drawing from traditions of art history and Callot. 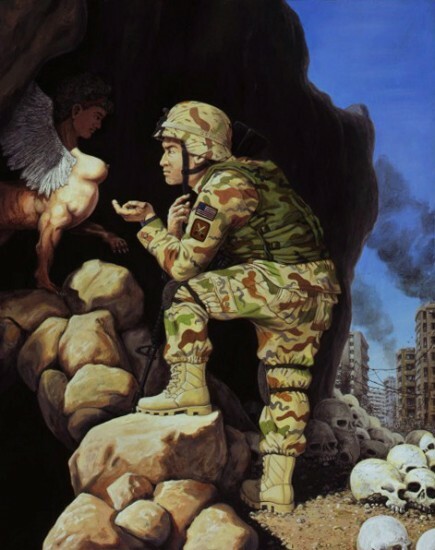 Like his predecessors, Birk draws on art history and current events in a polemical series that critiques the eternal and universally senseless practice of war and military injustice.